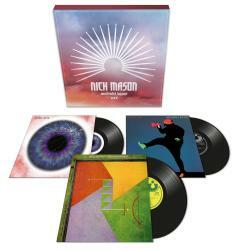 Nick Mason said: "These recordings hold a very special place for me in my musical life. 'Fictitious Sports' developed initially from working with Mike Mantler, Carla Bley and Robert Wyatt on a couple of their projects, and benefited enormously from a whole crew of great musicians that I was introduced to by them at Grog Kill Studios in Woodstock. "'Profiles' and 'White of the Eye' were an extension of working with Rick Fenn on some advertising and short documentary film soundtracks, which then developed into something more.